FISH AND EXPLORE WITH US! Meet the new owners of Ouzel! Rob Durnell and Amy Beaudoin have recently taken over the oars here at Ouzel Expeditions! We plan to continue the long tradition of legendary river trips in Alaska and Kamchatka. Located in Togiak National Wildlife Refuge, in Western Alaska. We are one of just a handful of companies that have permits to operate on this river. The diversity of fish, wildlife, remoteness, and great camps makes this a favorite river to return to year after year. You’ve studied the Kamchatka map, maybe you’ve asked some of your fishing buddies…Give us a call, we can get you set up in the right direction! More rivers than you can float in a lifetime. You can fish til your hearts content. The wildlife is diverse as the people. This is our home, and we look forward to sharing it with you! All of our trips travel by Sotar inflatable rafts human powered by oars. 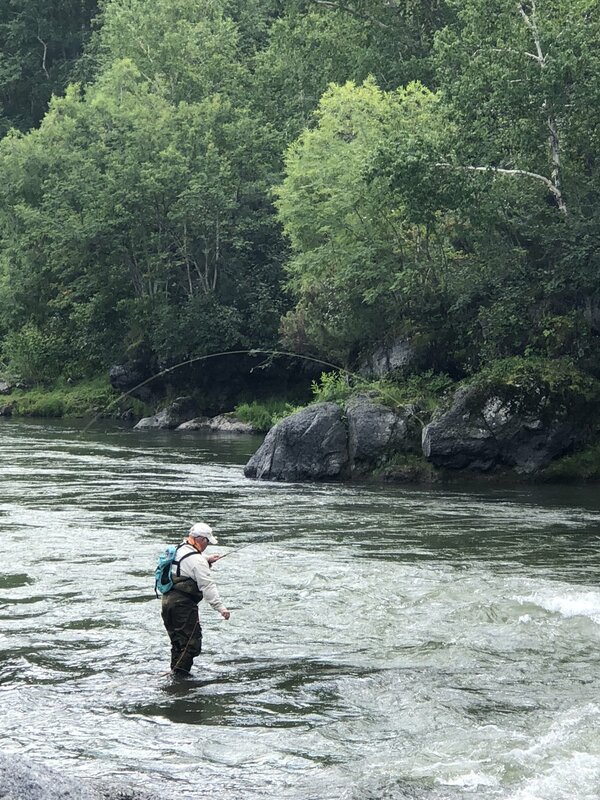 We float and fish our way down clear wadable rivers and creeks. Stopping at all the good fishing holes along the way, not missing any opportunities. Our low impact, moveable camps are comfortable, and allow us to stay on the fish longer. We camp right on the river, so you can fish all night if you want! We bring a large kitchen/dining tent on every trip, to enjoy our gourmet meals. Campfire grilled steaks and fresh fish, dutch oven goodies, salads, and farm style breakfasts keep you well fed and ready for the adventure! Tucked away on the west coast of the Pacific Ocean, is a secret gem. A Peninsula separated from the outside world by the sea and wilderness. A roadless landscape, accessible by MI-8 helicopters. Imagine floating down pristine waterways, Volcanoes towering overhead, and the largest rainbow trout you’ve only dreamed of catching. This is the Kamchatka Peninsula! Each of the rivers we go to has been thoughtfully selected because of their unique, remote quality, and pristine-like environment. The dates we travel to each of these are carefully picked for peak fishing, seasonal colors, weather, and wildlife. 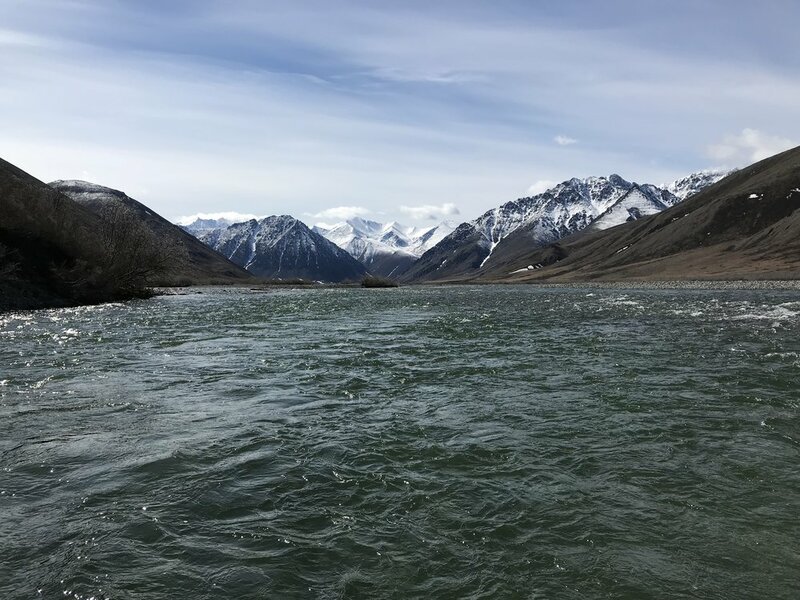 We are permitted to operate in the following Alaska National Parks, Monuments, and Wildlife Refuges: Arctic National Wildlife Refuge, Aniakchak National Monument, Togiak National Wildlife Refuge,Katmai National Park & Preserve, Alagnak Wild River.